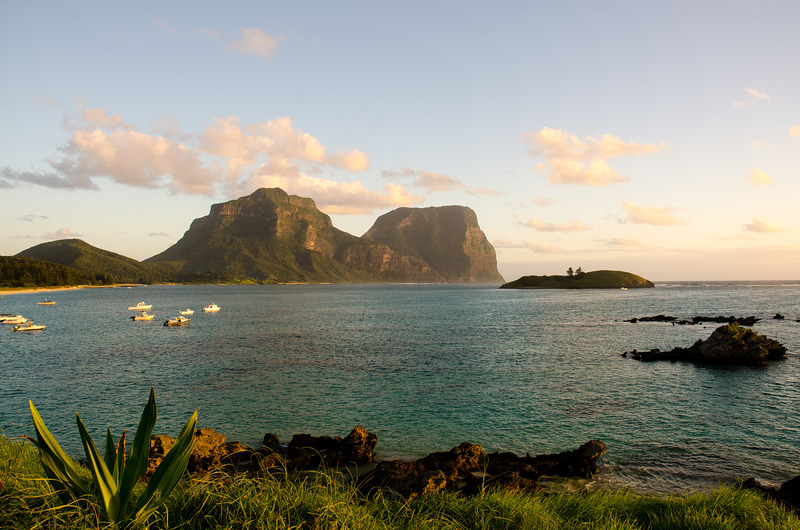 Lord Howe is just as rich and unique in geological history as it is in its strong sense of community and values. 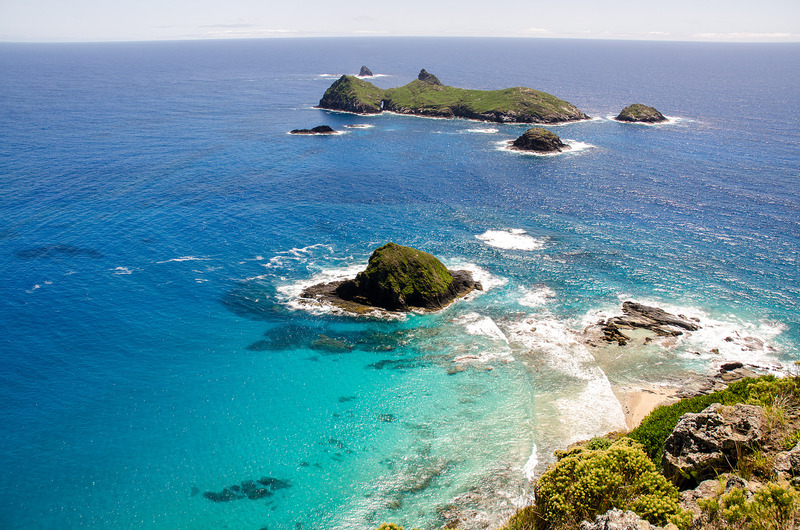 The crescent-shaped island is the remnant of a large, submarine volcano along the Lord Howe Rise, an undersea ridge stretching across a large swath of the Tasman Sea. 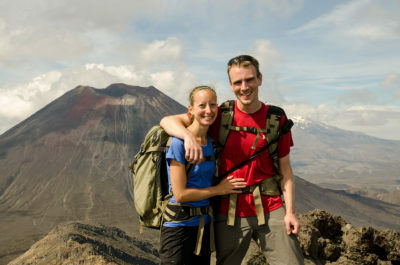 Some seven million years ago, an eruption of the shield volcano created an island roughly 30 kilometers (19 miles) in diameter, with a large crater in the center. 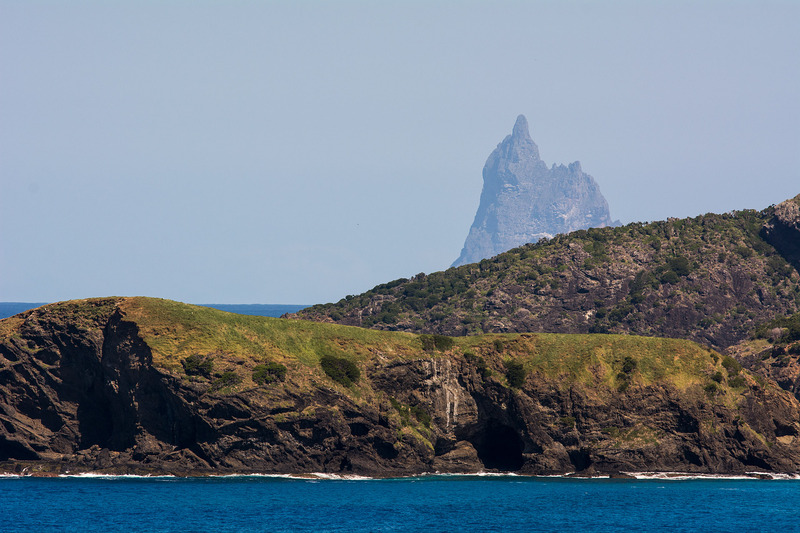 Geochronological studies of rocks sampled from the island’s mountains (Mount Gower & Mount Lidgbird) suggest that a second eruption, roughly 600,000 years later (6.4 million years ago), filled in the crater, forming the island’s iconic hills. 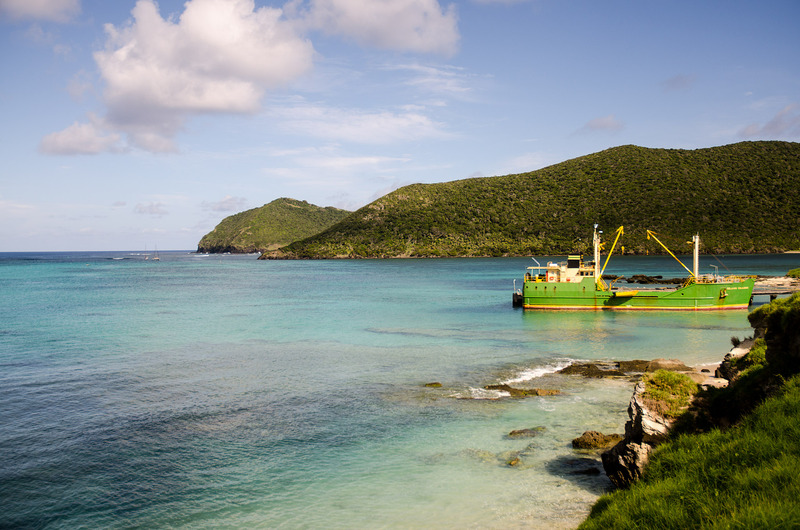 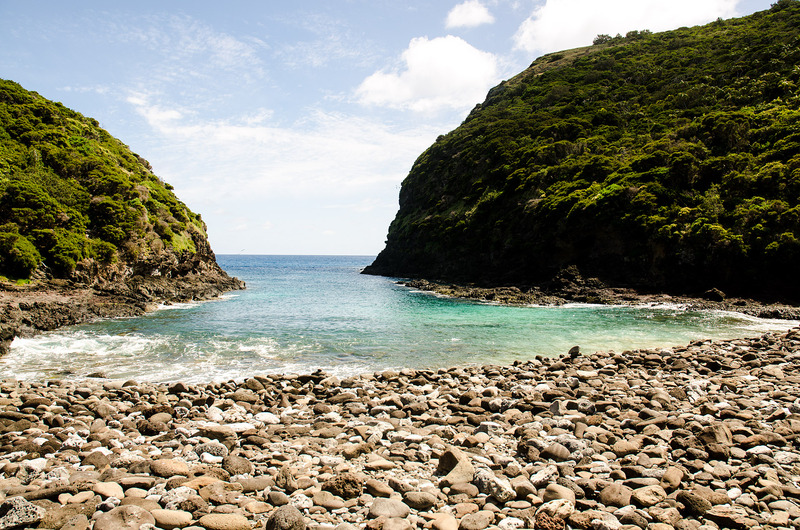 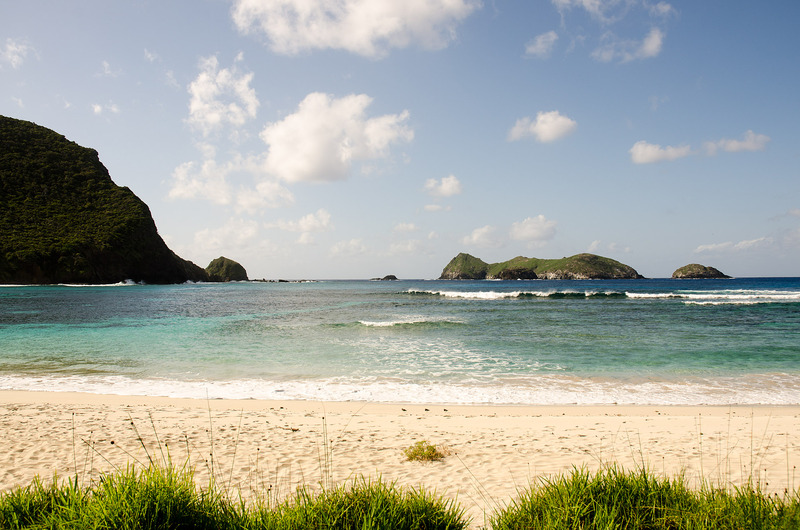 Today, only 2–3% of Lord Howe Island remains above sea level, as the majority of the 30-kilometer plateau is either underwater or has eroded away. 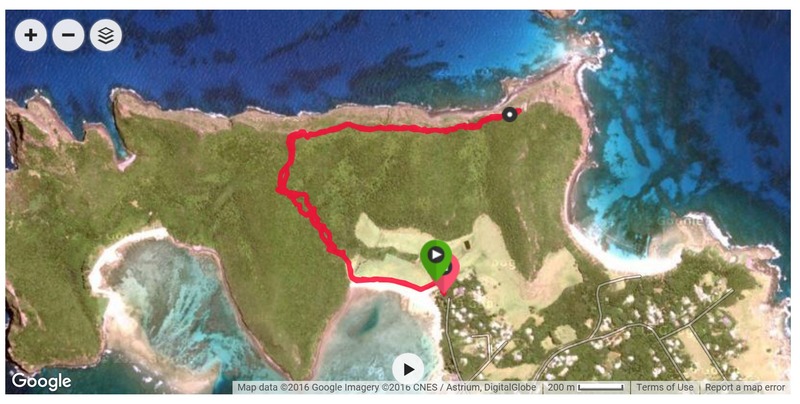 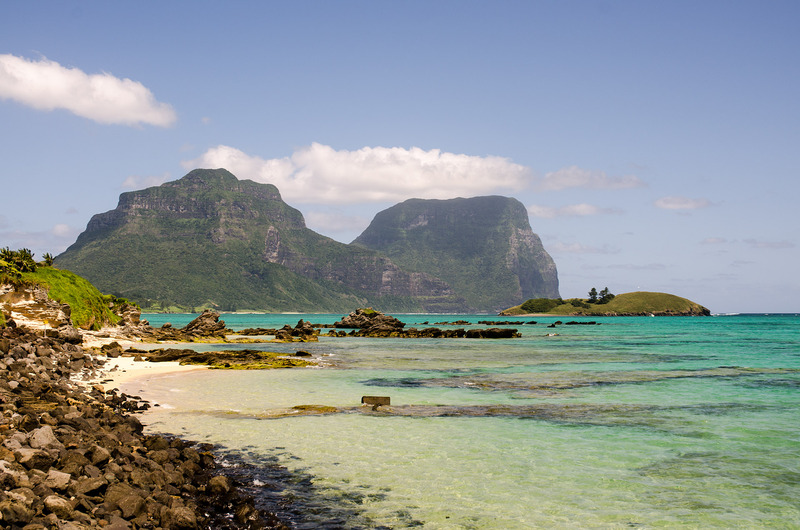 It’s likely that in another 100,000 years or so, all that will remain of Lord Howe Island will be a submerged coral atoll. 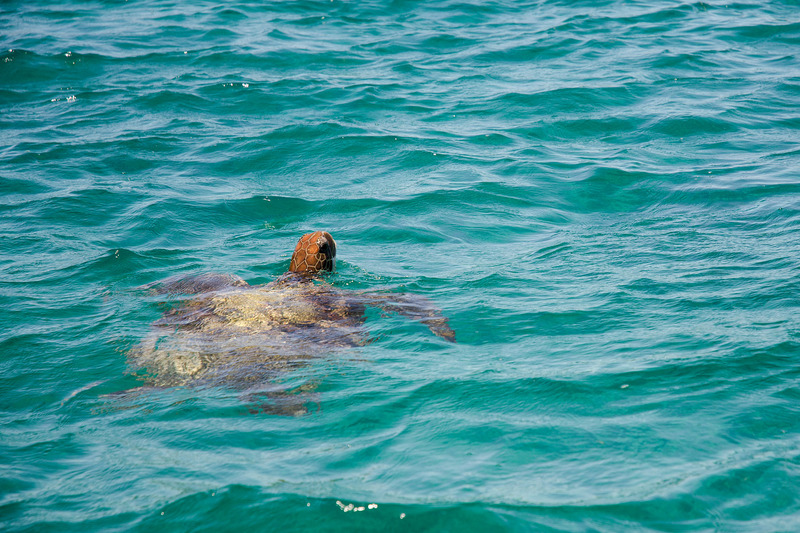 Because the island was formed from a submarine volcano, rather than breaking off of the Australian continent, the local wildlife is equally unique. 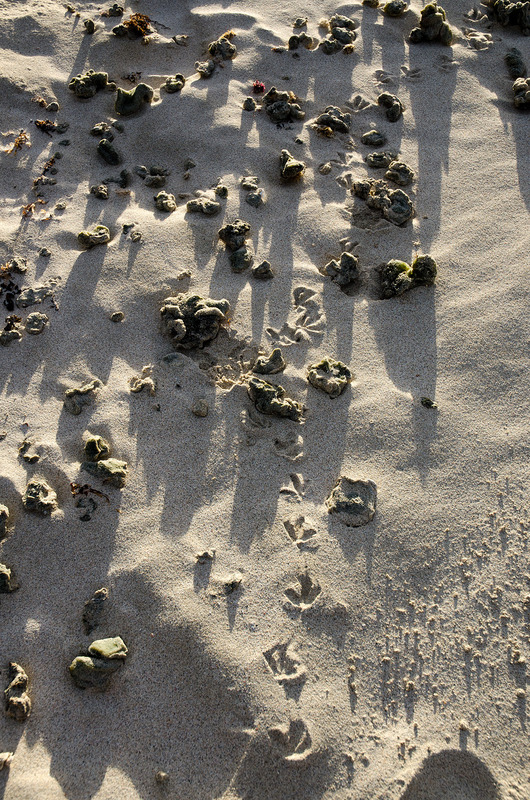 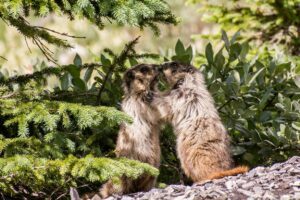 There are no kangaroos, koalas or other mammals that thrive on the mainland; rather the fauna is primarily bird species that have evolved in geographic isolation. 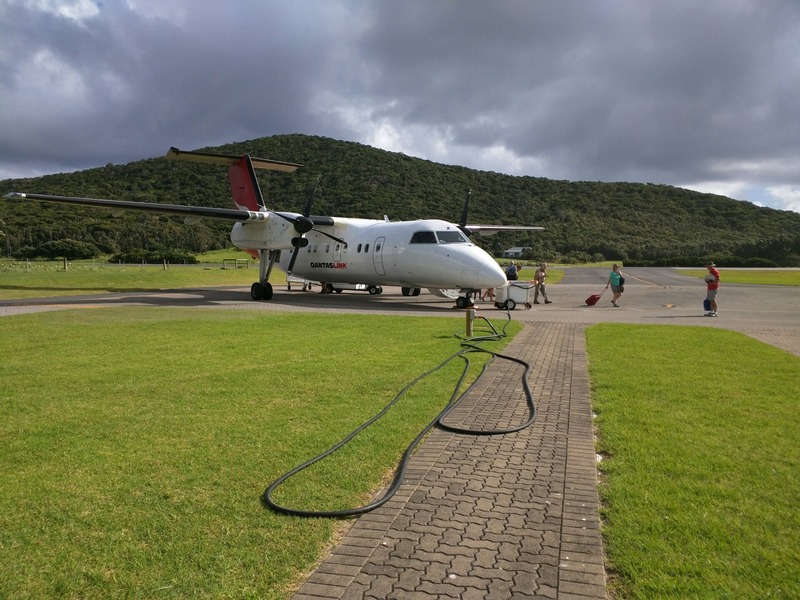 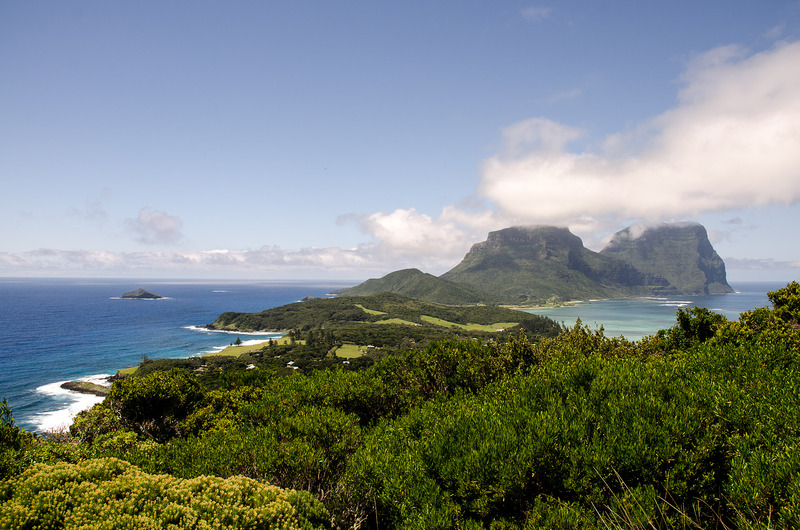 Following the extinction of at least eight known species (due to early settlers and the damaging introduction of rats), Lord Howe is currently home to only two endemic species – the Lord Howe white-eye and the endangered, flightless Lord Howe woodhen. 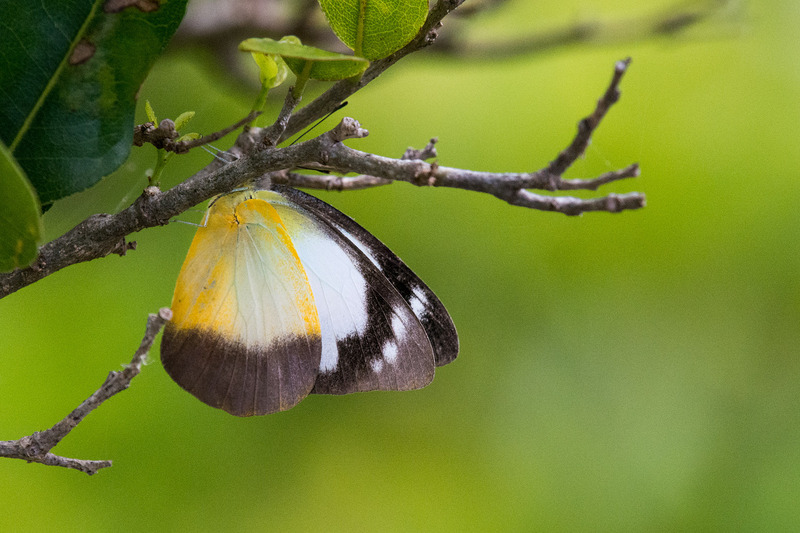 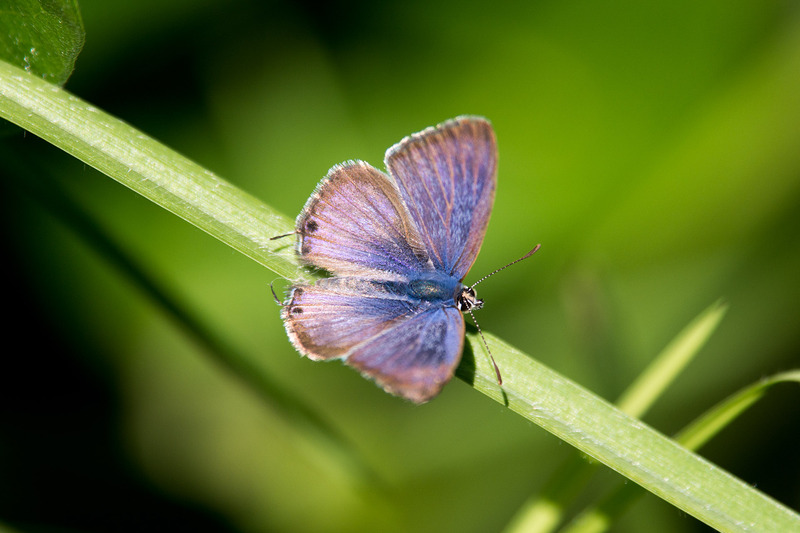 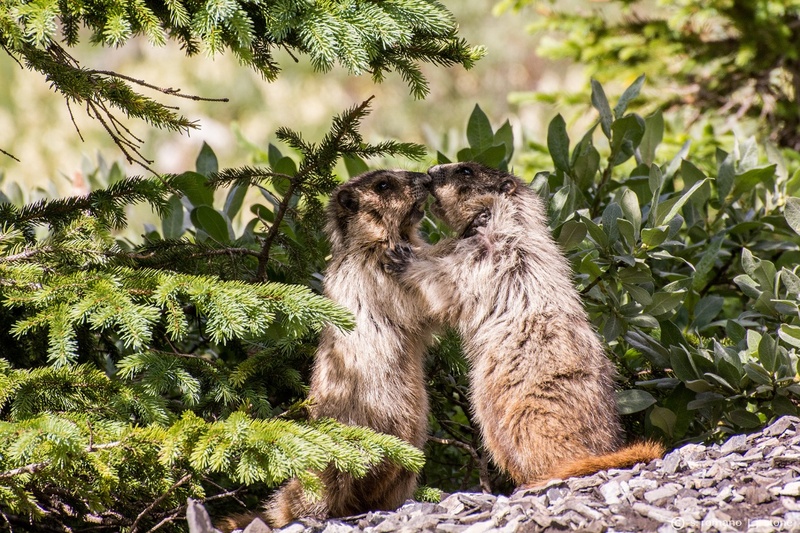 Several other endemic subspecies, migratory, and non-native species also now inhabit or visit the isle, with as many as 168 species being recorded. 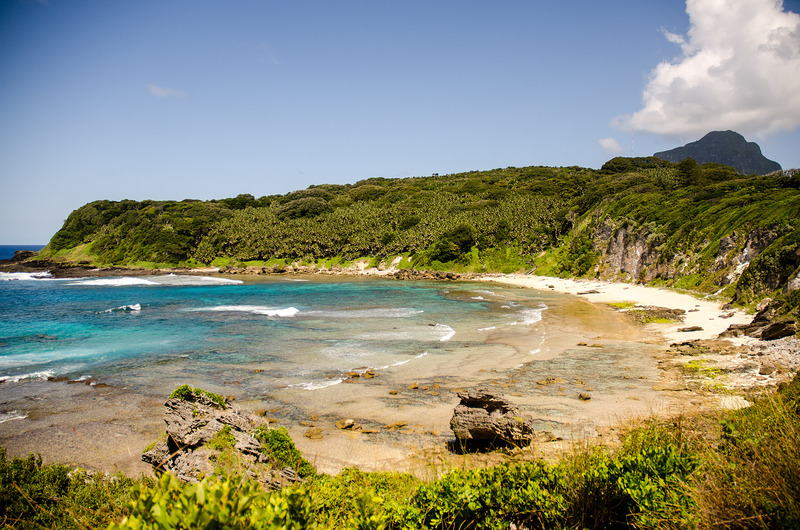 The stunning landscape that remains from these ancient eruptions includes flawless beaches, enormous, turquoise lagoons with colorful coral gardens, and majestic, green mountainsides blanketed with lush palm forests. 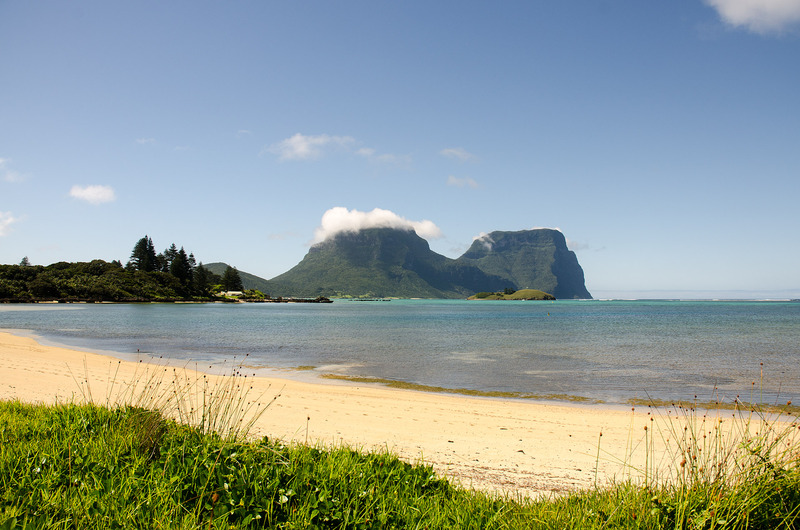 The expansive beaches of The Lagoon, Old Settlement, and North Bay define the western edge of the island, each offering a stunning view of the pair of towering southern slopes (Mount Gower & Mount Lidgbird) that dominate the dramatic landscape. 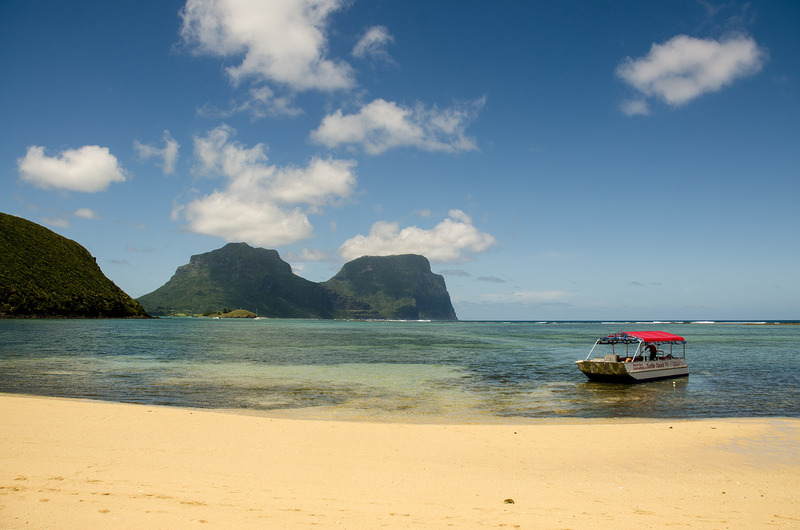 On the eastern side of Lord Howe, the renowned shores of Ned’s Beach and the deserted, rugged coastline of Middle Beach stretch along the water’s edge. 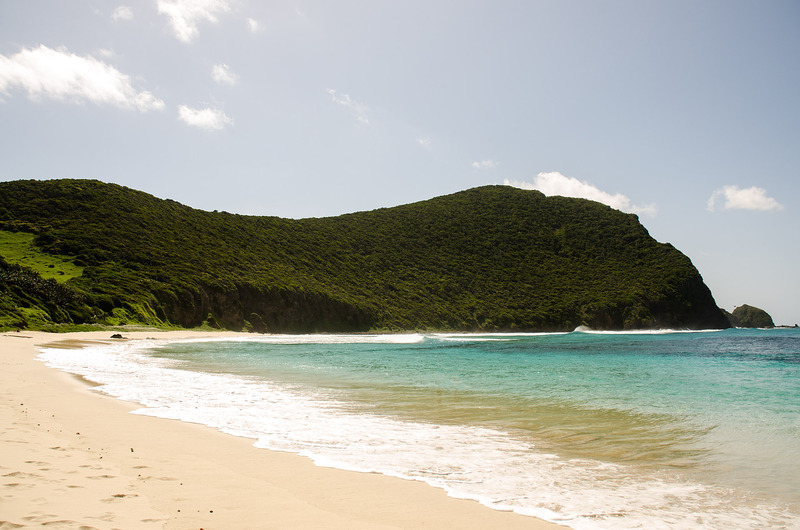 Just beyond Middle Beach, dense forests of palm and banyan trees shroud the hillside in the Valley of Shadows. 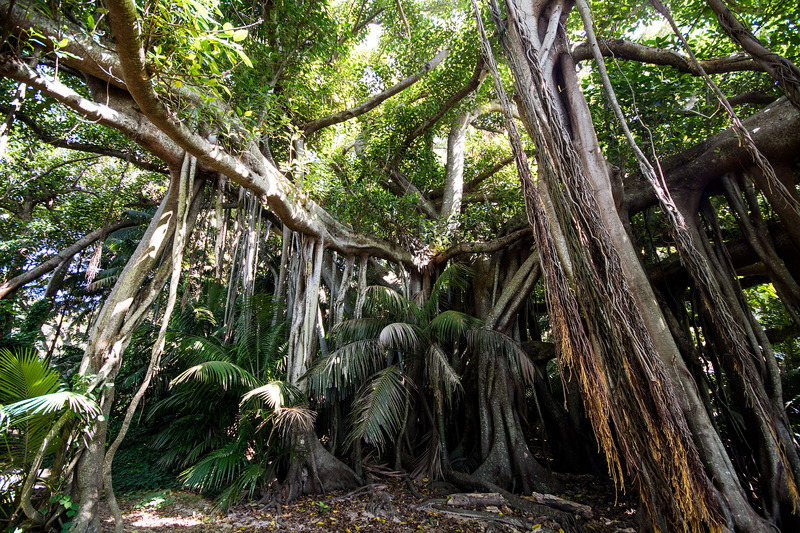 On the northern tip of the island, the more modest green crests of Mount Eliza and Malabar Hill rise abruptly from the vibrant blue sea. 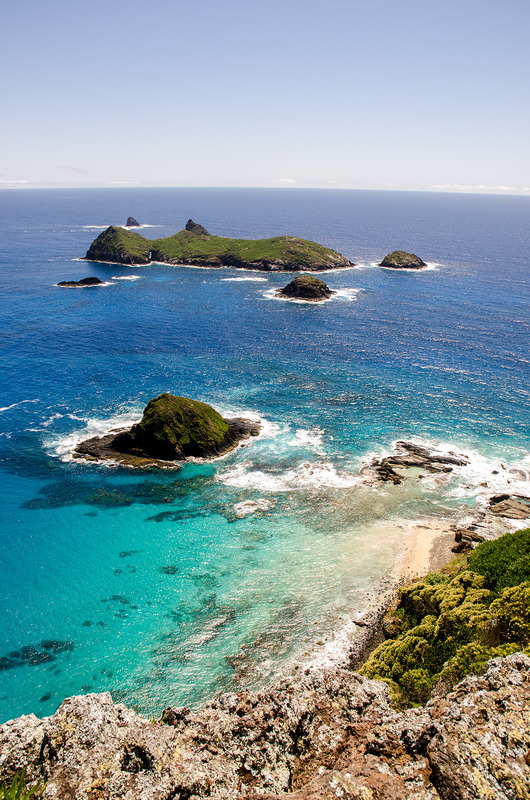 Short walking paths up the northern hillsides offer spectacular panoramas of the entire island, looking north to the craggy Admiralty Islands just offshore, as well as south to the two lofty peaks of Mount Gower and Lidgbird. 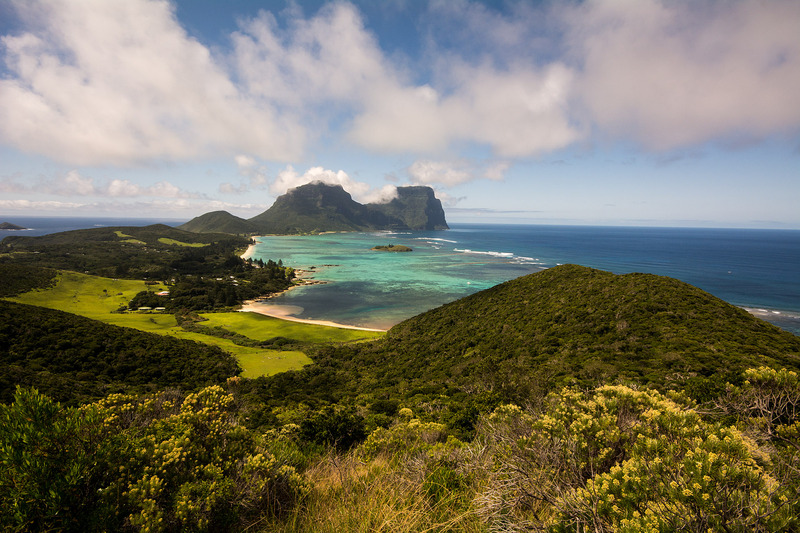 At the northern tip of the island, the verdant hills of Mount Eliza and Malabar Hill rise above Lord Howe’s aquamarine waters and coral lagoons. 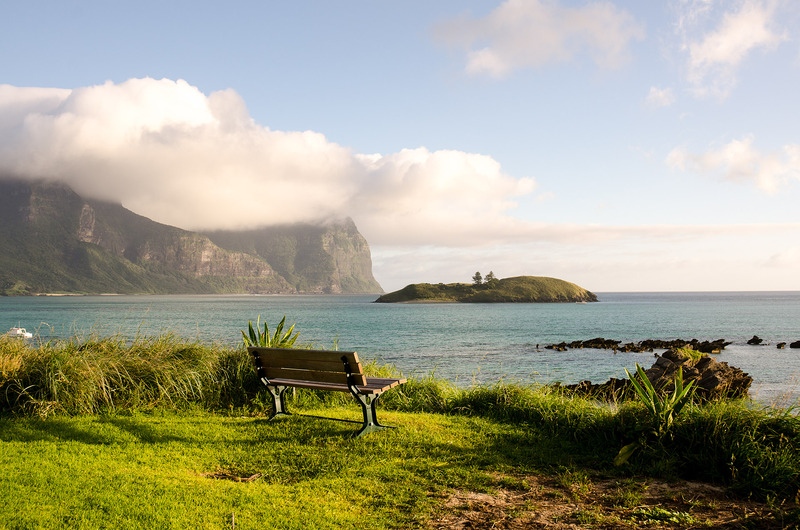 Though much smaller in stature than their southern counterparts, the northern hills provide breathtaking panoramas of the island’s pristine beaches, as well as the towering peaks of Mount Gower and Mount Lidgbird. 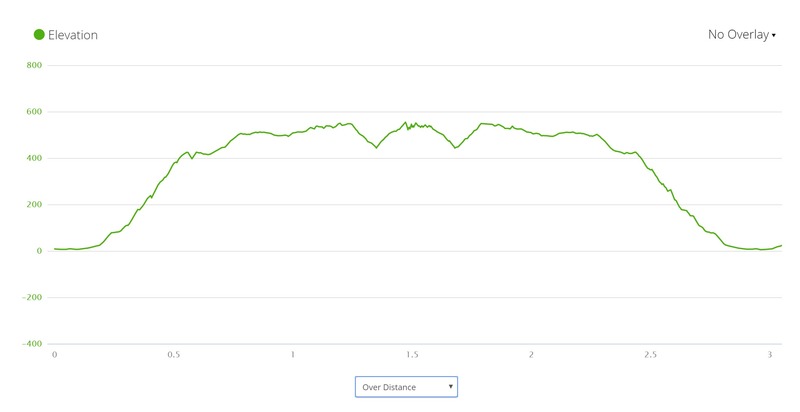 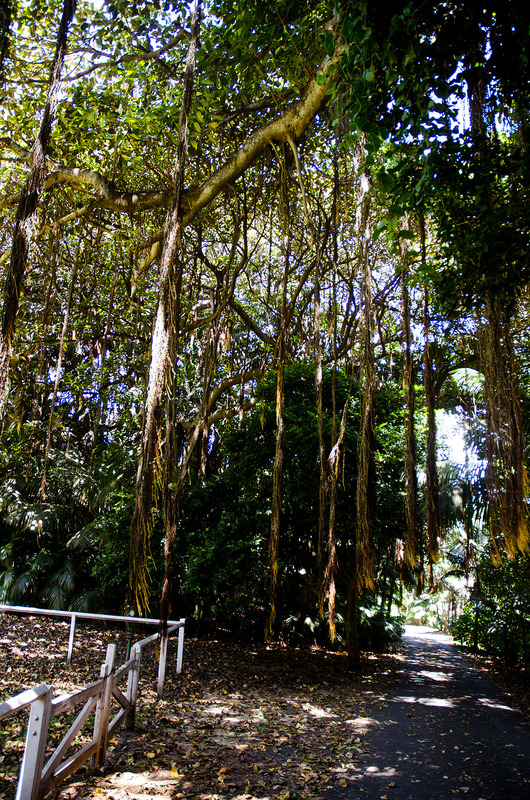 A series of steps and well-defined footpaths form a circuit from Old Settlement and Ned’s Beaches, leading to the scenic summits of Mount Eliza (inaccessible during our visit due to sooty tern nesting) and Malabar Hill. 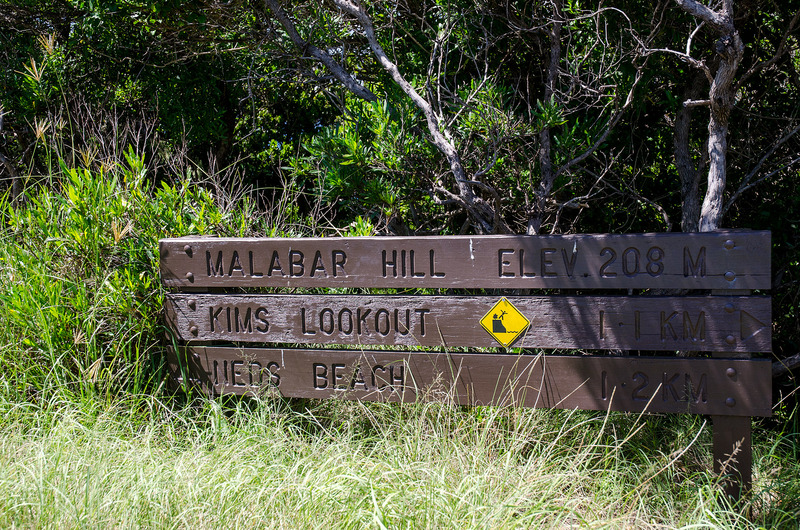 Kim’s Lookout, a viewpoint on the way up to Malabar Hill from Old Settlement Beach, offers a truly exceptional vista of the entire island. 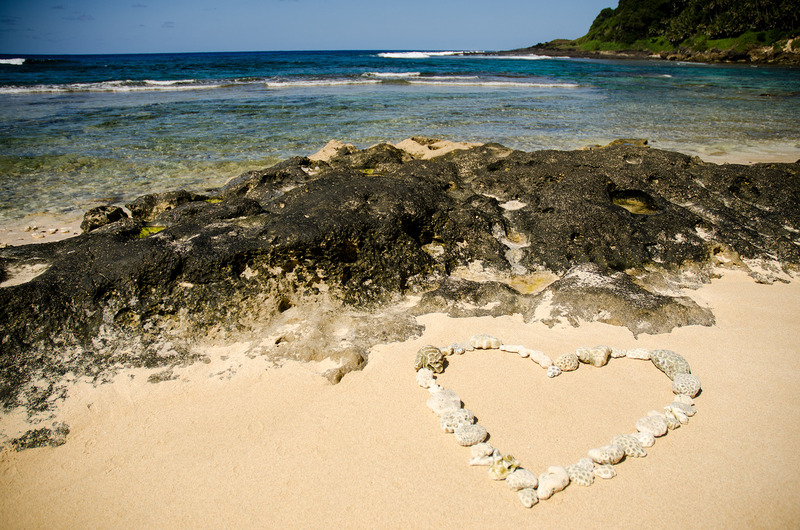 We did make the heart out of coral… for Nancy!